Here is my Kaycee modeling her latest in GSD wear. 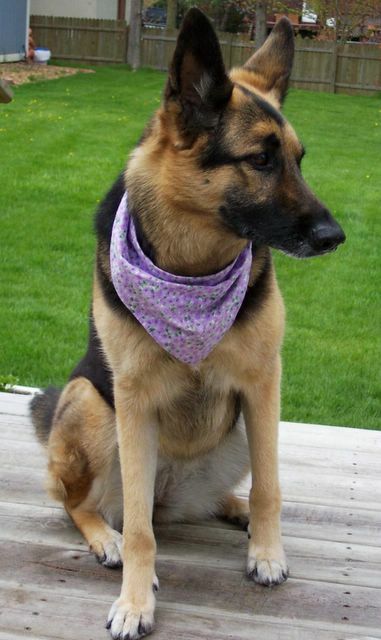 My friend is starting a new business making pet bandana's so Kaycee gets to be a model. I cant see any of your pictures eather. I can see the picture, but not your avatar... Kaycee makes a great model! i can see the beautiful kaycee! GREAT pic! she is quite the model! She's a beauty!...Ty for sharing!